Does that super-dangerous development, not mean, for example, that like African nations that have experienced civil wars, our homeland Ghana too, might eventually also end up being lumbered with moronic individuals, who could destabilise our peaceful nation in November 2020? The question is: If good and religious people unite to fight the NPP/NDC duopoly, at the parliamentary level elections, and overwhelming support President Akufo-Addo's candidacy, for the presidency, would that not embolden him to form a government of national unity in January 2021 - which is exactly what will make the transformation of Ghanaian society into a prosperous one possible? Over to you, #OccupyGhana. We are all fed up with clueless people dominating Ghana, simply because of party politics. Who born dog? For example, whiles the dim-witted NPP/NDC duopoly's geniuses prattle on endlessly, about dumsor, if we followed Australia's shining example, and procured a Tesla big battery storage system, would that not make affordable grid-scale renewable electricity supply possible? 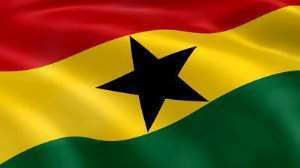 And will that not enable us to end dumsor permanently - till the very end of time? Haaba.